It’s looking like the legalisation of pot for personal use in the ACT may soon be a very real possibility. As reported by the Canberra Times, ACT Labor has announced that they will unilaterally support a bill that would make it no longer a criminal offence for an adult in the ACT to possess 50 grams of weed or four cannabis plants. Labor has 12 of the 25 seats in the ACT Assembly, meaning that they only need one more vote to get the majority required for the bill to pass. The bill was introduced by Labor backbencher, Michael Pettersson. The amendment would change the definition of an offence relating to the use of cannabis under the Drugs of Dependence Act 1989, and remove the drug from the definition of a prohibited substance. It doesn’t, however, include provisions for the sale of weed, so the ACT isn’t about to turn into a stoner utopia akin to, say, Colorado or California, any time soon. As an aside, recreational weed may be one of the few interesting things to do in Canberra. Downtrodden public servants may soon be rejoicing. Australia is already lagging far behind the more progressive legislative landscape of the US and Canada. "I would say that Australian and Canberrans like to think they're forward thinking and we are more progressive than our friends in America but, on this, we are well behind the eight ball," Pettersson said. "Because of our current drug laws, getting caught with small amount of cannabis, could ruin your life." Possession of under 25 grams of pot for recreational use has been decriminalised in the ACT since 1992 through the Simple Cannabis Offence Notice (SCON) scheme, and the limit was later increased to 50 grams. However, Pettersson says people are still getting caught out. "Under decriminalisation [in the ACT] for every one person that get a fine, three people get arrested. It's up to the arresting officer for discretion," he said. He also pointed to the National Drug Strategy Household Survey from 2016, which found that cannabis has been used by 10% of Australians in the past year and 35% during their lifetimes. Pettersson also said that recent government research has shown widespread support for cannabis legalisation, with 54% of Canberrans supporting the legalisation of pot for personal use. “This shows that Canberrans are overwhelmingly in favour of sensible changes to our drug laws like legalising small amounts of cannabis for personal use,” he noted. “Cannabis legalisation is not a radical idea. I don’t think anyone should have their life ruined with a criminal conviction for using small amounts of cannabis. “I think our current drug laws don’t make a lot of sense. I think it’s time we take a long, hard look at whether or not our drug laws are having the effect we want them to have and if they’re not we should have the courage to change them. As Pettersson pointed out, there is also a body of evidence that shows that cannabis is actually safer than more socially sanctioned drugs such as alcohol and tobacco. Dr David Caldicott, the clinical lead at the ANU’s Australian Medicinal Cannabis Observatory, told The RiotACT that a bill like Pettersson’s could limit the drug’s availability to underage consumers and undermine the illicit drug market in the ACT. “From a public health perspective, there are merits to an argument of a regulated market,” Caldicott said. “It is likely to be met by howls of abuse from more conservative commentators who probably don’t understand the policy implications. The bill was introduced on Wednesday into the ACT legislative assembly, and will be debated when parliament resumes in February next year. 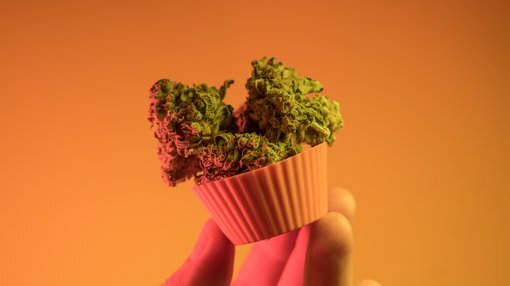 New Frontier Data suggests that the total Australian cannabis market — both legal and illegal — is worth between $4.6 billion and $6.3 billion, with an estimated two million users who consume about 391,903 kilograms of the stuff per year. In other local verdant-hued developments this week, the Australian Greens have introduced a bill into parliament proposing a regulated legal cannabis market. This harks back to April, when the party announced its plans to introduce such a bill by the end of the year. The Greens have been campaigning for a more drug-aware Australia throughout that period. Amongst the bill’s proposals include the creation of an Australian Cannabis Agency (ACA) to regulate the drug’s usage. Under this proposal, growing up to seven plants at home without paperwork would be permitted — for more, a license obtained through the ACA would be required. For Natale, the “war on drugs has failed”. He argues that pot needs to be sold in a "more tightly controlled" environment, pointing to other countries that have experienced a drop in crime after legalising the drug. In a major, if unexpected, landmark for the global weed industry and broader socio-cultural movement, South Korea looks to become the first country in East Asia to legalise medical cannabis. The nation revised its national drug policy on November 23 to allow the import and distribution of a cannabis-based oil to help treat several ailments, including the withdrawal symptoms associated with drug and alcohol abuse. The recent vote follows a July decision from the Ministry of Food and Drug Safety, which said it would allow the cannabis-based drugs, Epidiolex, Marinol, Cesamet and Sativex, for treatment of epilepsy, symptoms of HIV/AIDS, and cancer-related treatments. This comes as a surprise move, and makes for a critical step for a relatively conservative country. South Korea has been a vocal opponent of the legalisation of recreational cannabis in other countries, especially Canada, and also has some of the harshest laws on marijuana consumption. Koreans risk prosecution for pot usage even if they are visiting countries where it is legal. Under Korea’s anti-drug laws, smoking and trading cannabis remains illegal, and those who are found guilty face up to five years in prison. Under the new law, marijuana will be strictly controlled. In order to receive medical cannabis, patients would be required to apply to the Korea Orphan Drug Center, a government body established to facilitate patient access to rare medicines in the country. Patients would also need to receive a prescription from a medical practitioner, and approval would be granted on a case-by-case basis. Two other countries in the region – Thailand and Malaysia – are moving towards legalisation of medical marijuana.